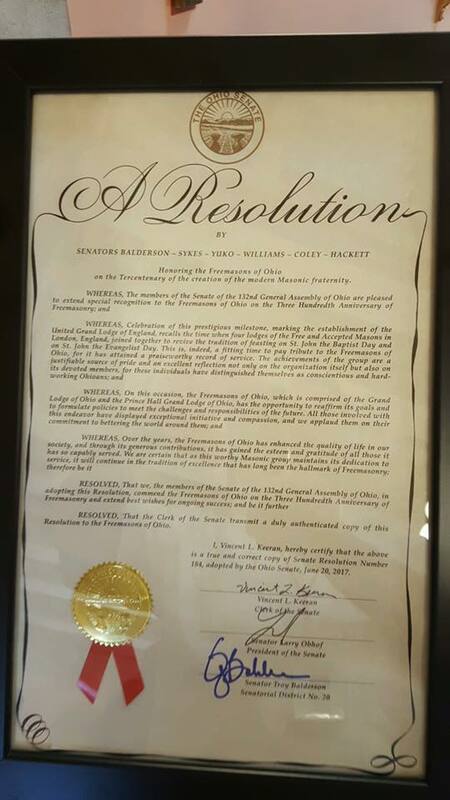 Last Wednesday, June 21st, the House and Senate of Ohio both adopted Special Resolutions celebrating the 300th anniversary of the formation of the Premiere Grand Lodge of England and modern day Freemasonry. 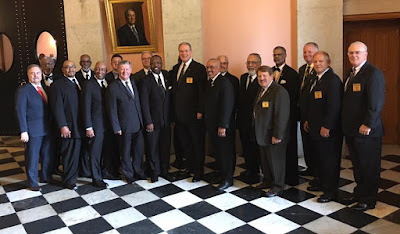 Officers of both the Grand Lodge of Ohio F&AM and the MW Prince Hall Grand Lodge of Ohio F&AM were on hand at the Statehouse in Columbus for the occasion. A video is available on Facebook (with almost inaudible audio) HERE. 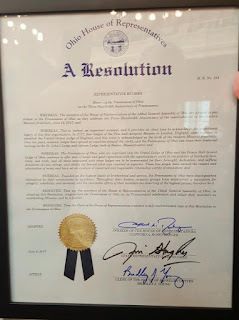 I'm sorry the day came and went in Massachusetts without a proclamation or resolution. 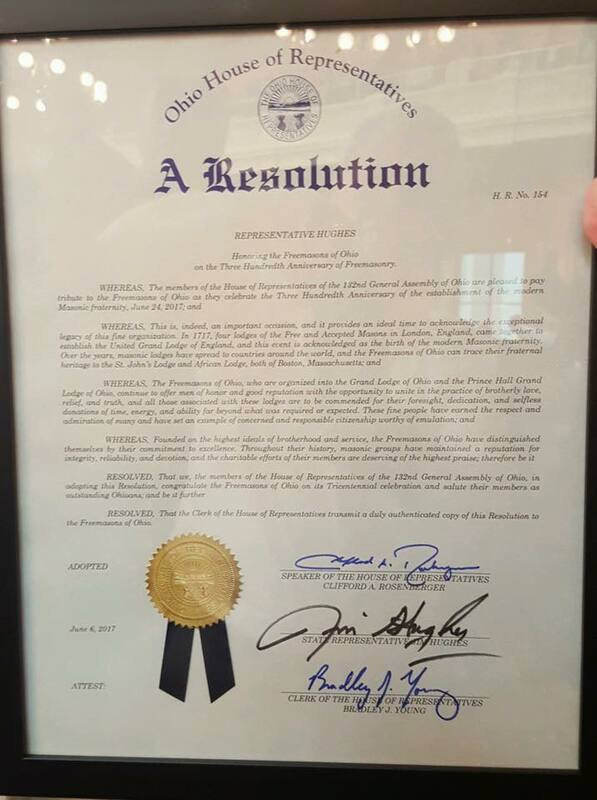 I hope it's because the governor and legislature chose to ignore it, and not because Grand Lodge forgot to notify them of the special day. 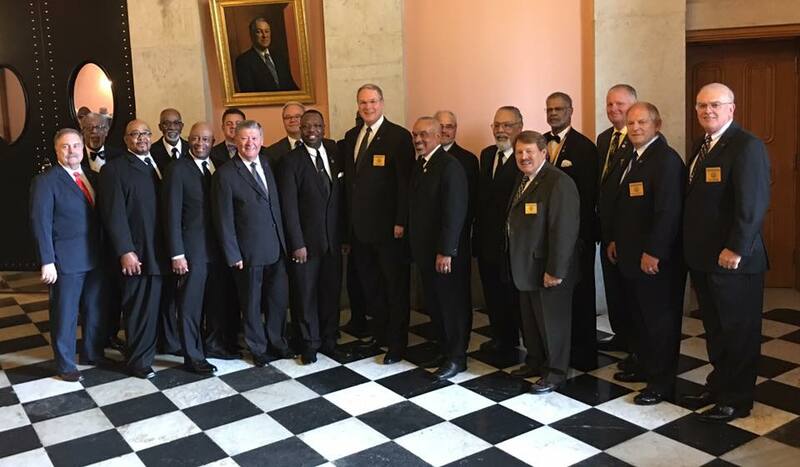 I think the anniversary of the formation of the first grand lodge may be a bit overblown. 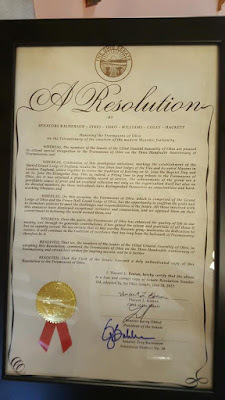 Some might argue that Freemasonry was doing just fine without a grand lodge and all the accompanying regulations and micromanagement.